The Community Development Foundation is the local Economic & Community Development organization for Tupelo/Lee County, Mississippi, and serves as the local Chamber of Commerce. The Community Development Foundation has a rich heritage in the Northeast Mississippi area and has been at the heart of economic and community growth in the Northeast Mississippi region for the past 60 years. CDF maintains a listing of available buildings and available sites in the Tupelo and northeast Mississippi area. Please feel ..
6 links pointing to Cdfms.org were found. The most used keywords in text links are Community Development Foundation and Community. 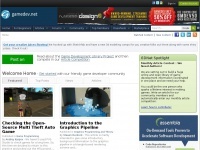 Individual words like Foundation, Development, Wellspring and Site are frequently used in text links from other websites. The most important links to the website are from Mississippihills.org and Djournal.com. The homepage of Cdfms.org and the subsite /default.aspx are most referenced by other websites. The table shows the most important links to Cdfms.org. The table is sorted in descending order by importance. The table shows websites of Cdfms.org, which are often linked by other websites and therefore they are classified as important content. four profiles were found for Cdfms.org in social networks. Among other social networks the website is represented in Facebook, Twitter, LinkedIn and YouTube. 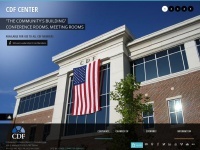 The web server used by Cdfms.org is run by Citrix Systems Inc - Demos Center and is located in Dallas, USA. The server runs exclusively the website Cdfms.org. 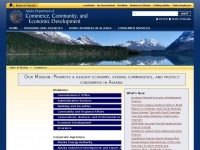 The Cdfms.org websites were developed using the programming language ASP.NET and served by a Microsoft-IIS server. For managing the data of the webpages the CMS DotNetNuke is used. The website uses the latest markup standard HTML 5. To analyze the visitors, the websites uses the analysis software Google Analytics. The website does not specify details about the inclusion of its content in search engines. For this reason the content will be included by search engines. 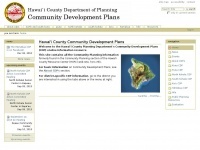 Commerce.state.ak.us - Alas­ka De­partment of Com­mer­ce, Com­mu­nity and Econo­mic ..
Hawaiicountycdp.info - Ha­wai'i County Com­mu­nity Deve­lop­ment Plans — Ha­waii ..